Location! Pool! Large Great Room Floor Plan! Private Master Suite! Cul-de-sac with open Desert Views in front! This lovely 3 Bedroom home includes an island kitchen, stainless steel appliances with gas range. The fabulous backyard boasts a recently renovated pool with waterfall feature and till backdrop with travertine accents and a raised lounging area plus turf to add green and color while conserving water. The exterior includes a private arched entry. Security system can be assumed by buyer or removed. RELOCATION! 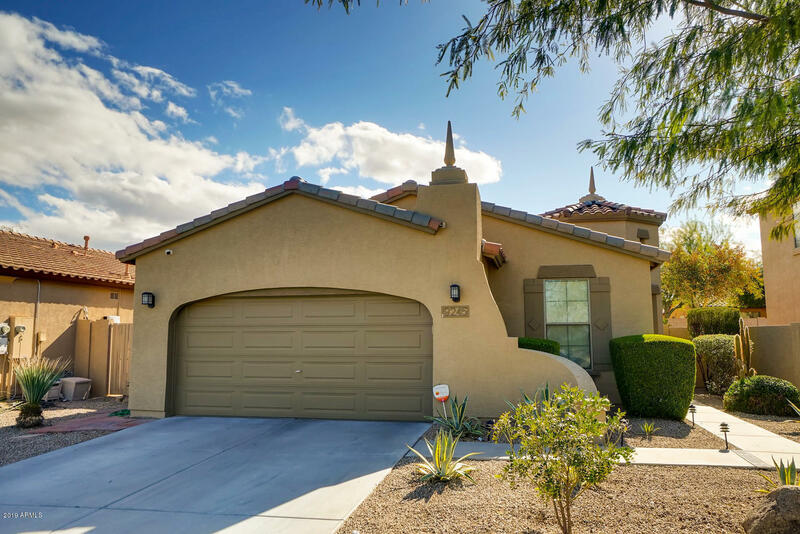 Enjoy the many amenities of Estrella...lakes, golf, walking paths, hiking and biking, sports courts, work out facilities, pools, spa, water parks, youth center, and various activities and events by the lake. Shopping and restaurants and more. MOUNTAIN VIEWS! © 2019 Arizona Regional Multiple Listing Service, Inc. All rights reserved. All information should be verified by the recipient and none is guaranteed as accurate by ARMLS. Information deemed to be reliable but not guaranteed. Real estate listings held by brokerage firms other than West USA Realty are marked with the ARMLS logo and detailed information about them includes the name of the listing brokers. Listing broker has attempted to offer accurate data, but buyers are advised to confirm all items. Only IDX residential listings are displayed on this site. The information being provided is for consumers' personal, non-commercial use and may not be used for any purpose other than to identify perspective properties consumers may be interested in. This site will be monitored for 'scraping' and any use of search facilities of data on the site other than by potential buyers/sellers is prohibited. Information last updated on 2019-04-21.